Clearly there was demand for more than 275 examples. It didn’t take long for all 275 examples of the new Cadillac CT6-V to sell out. Less than two days, in fact. Not bad at all for a car that carries a base price of $88,790, plus destination. But the folks at GM obviously took note of that high demand and, well, something has to be done. 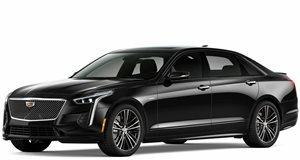 According to Cadillac Society, GM’s luxury brand is planning to build additional CT6-Vs in order to satisfy anxious buyers. A GM spokesperson told CS that the 275 figure is the number of units made available only for pre-order, and more units will be available at a later date. Just last week we learned that Cadillac was hoping to satisfy some of those who missed out on placing an order with the CT6 Platinum 4.2, a slightly detuned version of the CT6-V, though it’ll reportedly cost a little bit more. We’ve reached out to Cadillac to seek additional confirmation regarding the exact plan and we’ll update this space if we receive a relevant reply. The CT6-V, as we all know, is powered by the hand-built 4.2-liter twin-turbo V8 called the Blackwing. Rated at 550 hp and 627 lb-ft of torque and connected to a new 10-speed automatic transmission sending power to all four wheels, the CT6-V also comes with something owners will greatly appreciate, a two-day advanced driving course at the Cadillac V-Performance Academy at Spring Mountain in Nevada. The offer is valid for up to one year and is reserved for the car’s original owner. It also should be noted that CT6 production, for all trims, will be ending soon, at least at the Hamtramck production facility in Detroit, Michigan. That production plant is slated to close as part of GM’s efforts to reduce costs. However, there have been rumors that CT6 production could be moving elsewhere and that a second-generation model is already in the works.